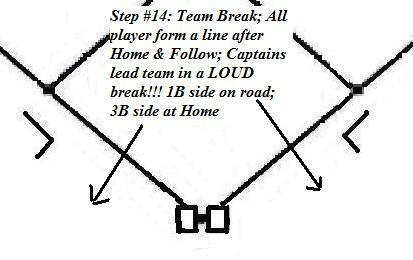 Below you will see a 14 step pre-game routine that we use. It can be modified hundreds of ways to fit your needs. 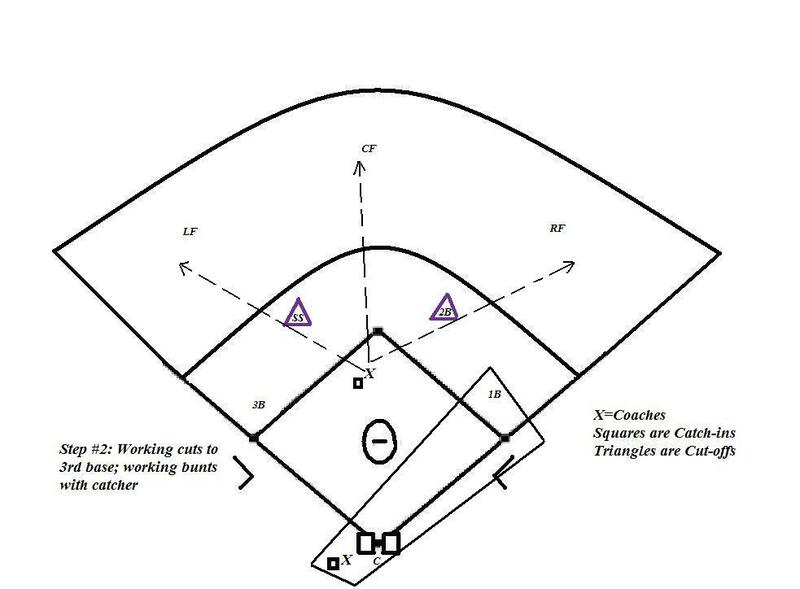 In order to run it correctly, you will need two coaches hitting fungoes. If you don’t have an assistant coach, I would recommend a very reliable reserve player or team manager. The goal of this routine is to allow as many players as possible to get as many quality touches of the baseball in a short amount of time. The first few times your team will go through a routine like this one it will take 20 -25 minutes. That may seem long but, with familiarity, that time will be reduced down to 12-15 minutes. Every player will get a variety of game-like plays to practice. This routine can also be used in an extended version at practices. I’m sure that others have similar routines. If you have some variations or some suggestions how to make this better, please leave a comment. Station #5: Cage Sequence #5: 1-NO ROCKS IN THE AIR!!! What you see above is basically the chart that is used during the season when we are stuck inside due to weather. Our cage area has space limitations. Therefore, we have to be creative utilizing the space that we have. This chart serves as a portion of a practice plan. It will be posted. The players are placed into their hitting groups. They should be able to look at the chart, understand where they should be, and what they are to do once they get there. It usually takes 2-3 three times for the players to totally understand the process, but when they get used to it, it’ll be like clockwork. Here’s how the chart is used. The top of the chart is a map that displays the numbered cage station areas. It also shows the direction in which the players are to rotate. The table in the middle of the chart has Stations 1-5 listed. The coach is to write in drills for each station from the drill list at the bottom. 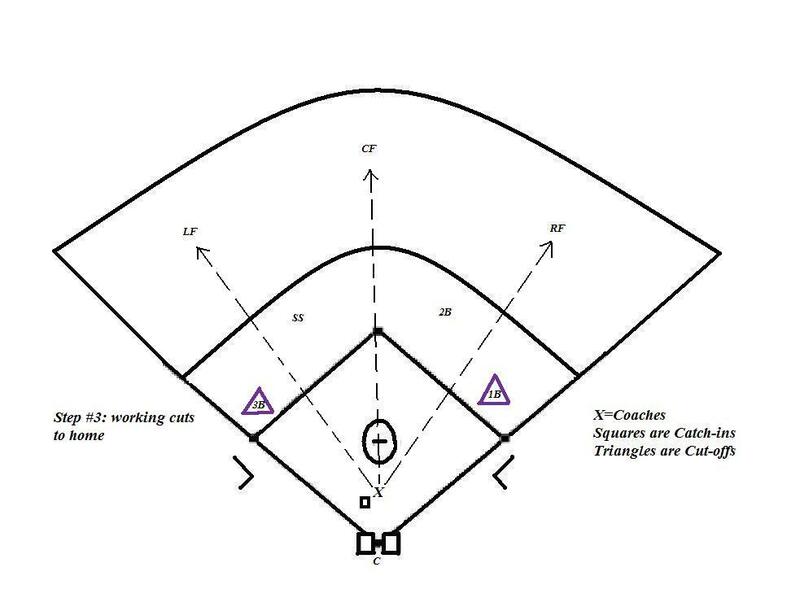 Then, the coach is to circle a cage sequence to be followed once any given hitting group rotates into the machine area of the cage. 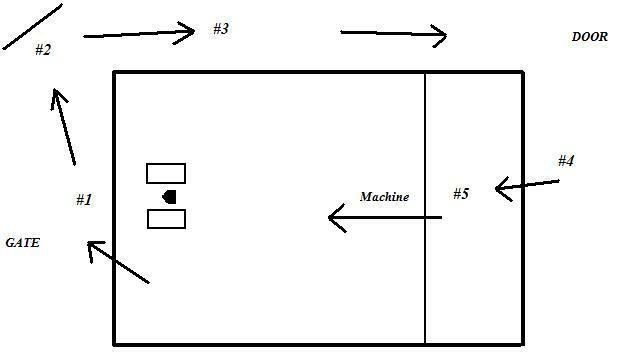 The whole team rotates when the group on the machine is done. There is no reason for any one on the team to be standing around. Everyone has a place to be and a purpose once they get there. By planning ahead of time there is less wasted time and more time for the coaches to float around and work with hitters. This is typically used in 45-60 minute session. We try to get everyone to each station twice. Each player should get between 100-125 cuts. If a player gets less than that, it’s on them for not working hard enough. The first time I saw this drill, or something similar to it, was in Dixon, IL. My friend Dan Crawford was using it as part of his team’s pre-game routine. Whiffle balls were flying in every direction. Players were placed all over left field. 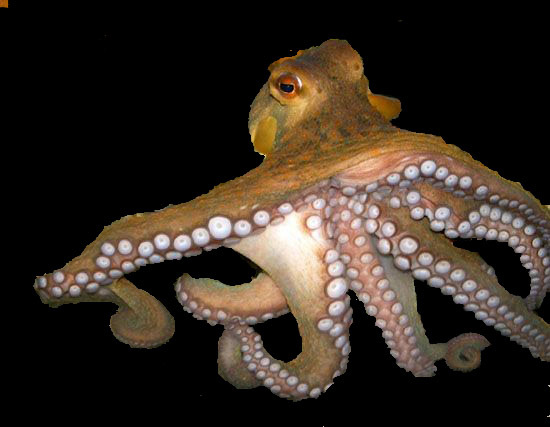 Jokingly, I said, “Dan, it looks like a octupus exploded out there. What’s going on?” He told me it was a drill. I liked it so much, that night I scribbled something similar to it on paper. Purpose: The purpose of this drill is to get each of your players 24 purposeful swings with in less than 8 minutes. It makes a great pre-game hitting routine. I especially like it on the road. 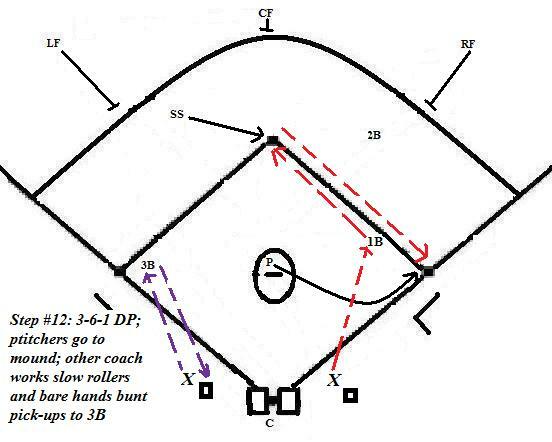 It also makes a good practice drill when time or space is limited for hitting. Lastly, it’s a good indoor drill when a cage is not available. Set up & Grouping: Take your team and divide them into three or four equal groups. I recommend no more than 5 in a group. 4 in each group is just about perfect. Place the bucket of whiffle balls in the center and one group on each side of the bucket. Each group needs a hitter, pitcher, and shaggers. The hitters are nearest the bucket. The pitchers are throwing towards the hitters standing by the bucket. Station #4: I like to use this one as a wildcard station in order to mix it up. 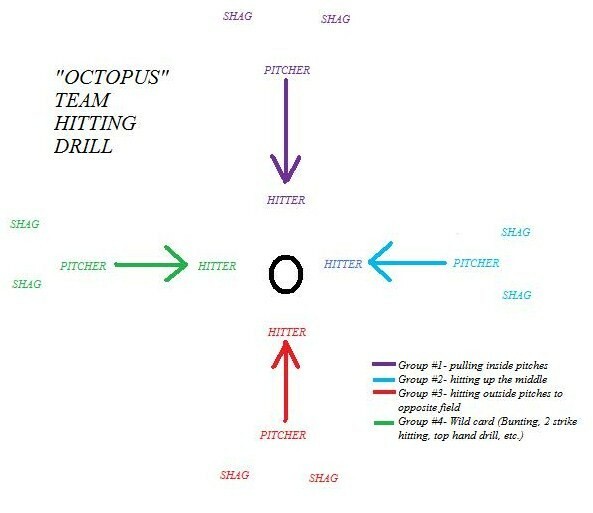 You can make it a bunting station, top hand drill, 2 strike hitting, etc. Most often, I like to use a paddle drill. The first time you run the drill, it will take a bit longer than 8 minutes due to explanation. It will get to be more fluid each time the drill is run. For younger players, eliminate the rotation. As the coach, call out a new hitting purpose every 2-3 minutes. Monitor your pitchers. Make sure that they are throwing the balls hard enough and trying to hit locations. Monitor your hitters make sure that they are swinging at strikes. Much to often, when the whiffle balls come out, hitter start swinging at everything. By creating a practice plan you give your practice a framework. 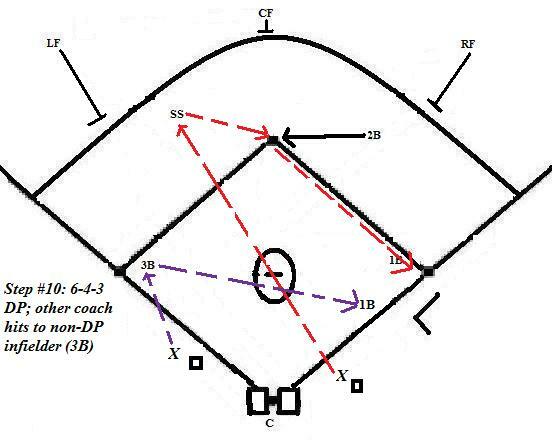 Putting it on paper gives a coach a few advantages over other coaches that just “keep it upstairs”. Ultimately, the guys that go off the top of their head might as well be dumped on their head because one look at their unorganized practice would make even a bush league team cringe. Some may say, “Big deal, you’re making a list.” Yes, but the list is as detailed as you want it to be. A good practice plan allows a coach to group his players more effectively, manage practice time better, and motivate his/her players more easily. 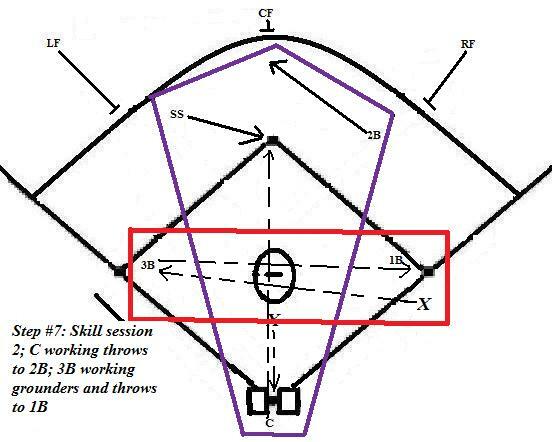 Baseball and softball are very skill specific sports. Breaking your team up into small groups based on position is essential. 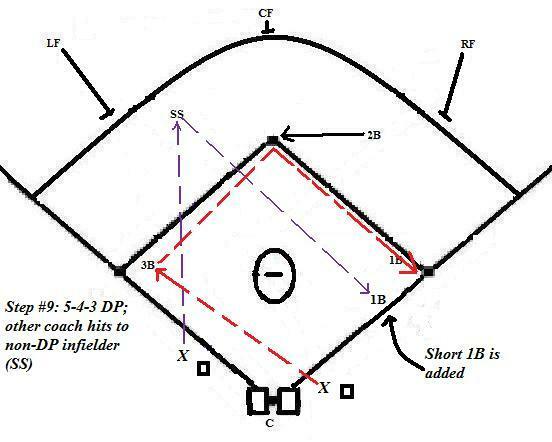 For example, if a coach really wants to work on double play pivots with his middle infielders, does the whole team have to be working on this skill? No! The outfielders could be working on their footwork. 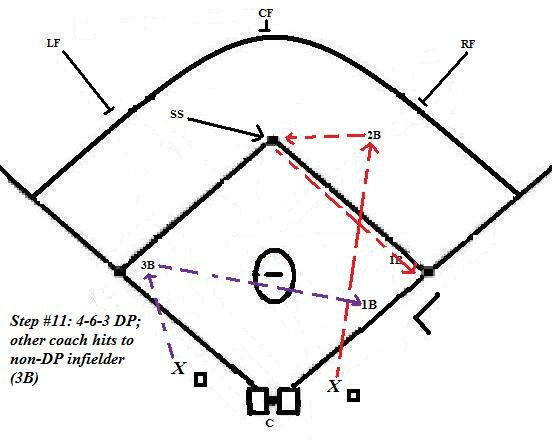 The catchers, pitchers, and corner infielders could be working on bunt coverage. By separating into groups an hour worth of drill time could be condensed into 20 minutes, thus, leaving more time for other coaching points. 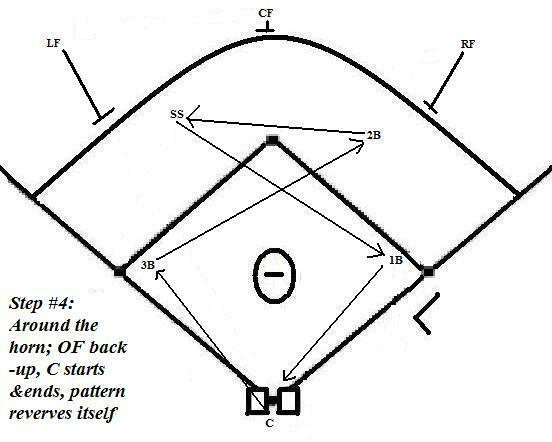 The coach without this sort of plan on paper might have the whole team working on pivots. What a waste for the 10 players that may never play 2nd base or shortstop. Even worse, this same coach may have those 10 non-middle infielders just watching. I am also a big advocate of social grouping at practice. For instance, we break up into 3 to 4 small groups for batting practice. I am the one that determines what players are in which groups. If allow the players to group themselves, they would always end up with the same players based on the buddy system. Thus, they are never building bonds with their other teammates. As well, buddies are more likely to mess around when no one is looking. Of course, my players would never do that. Yeah, right. They sometimes don’t like the fact that I pick the groups, but this is not a democratic process. A curriculum and instruction professor in college discussed “advanced organizers” with our class one day. He started the class by acknowledging the word “TEST” written on the chalkboard. Nothing more, nothing less was written on the board. Being 40 paranoid college students in the room, we were relieved when he did say something about it. Our anticipation of an upcoming exam or possibly a pop quiz had all of us on the edge of our seats. There was no test scheduled for a month. He went on to explain that our focus on him and class was at its height due to an advanced organizer. The word “TEST” was the advanced organizer. It gave a group advance notice of an upcoming event. This tool can be as specific or as vague as you want. In this case it was vague. If your practice plan is posted for your players to see, it can have the same effect. For example, many drills are used daily. If the specific drills are written on the plan, the players will know when to expect a drill change. The transition to the next session will go much smoother. Alternatively, a vague note will spark players’ interest about a portion of practice. 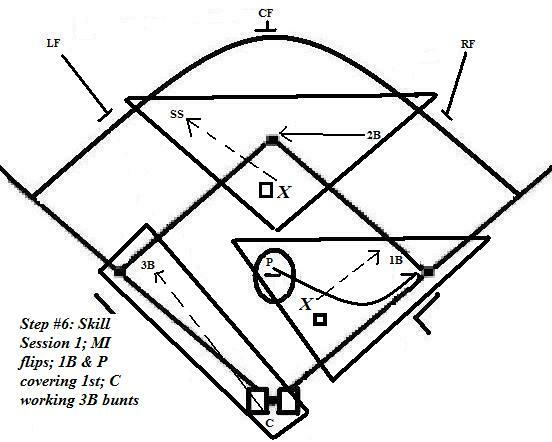 For example, I like to include an occasional skill oriented game in my practice plan. Just by putting the word “game” as one session of your practice, your players will anticipate that session eagerly. They will also work harder in preceding sessions, not wanting to lose the opportunity to play the game. No matter what age of players that you may be coaching, a written practice plan is essential. Another good friend of mine says it like this, “KTSB”. That means “Keep Them Suckers Busy”. The plan eliminates idle time. Idle time leads to unnecessary distractions. Plan everything even down to the water breaks and the length of that break. If you plan for a three-minute water break, it will last three minutes or less. We’ve all seen practices and that the short water break turns into a 10 or 12 minute bull session. Well, if may not seem like a big deal, but in reality that could turn out be 10 to 12% of your practice time. What a waste! By planning for the rest periods at practice, announcing the length of the rest periods when they come, and sticking to that time, you’ll be much happier when the team transitions back to work mode. You’ll find that your team leaders, knowing that the break lasts only lasts a predetermined amount of time, will be back on the field ready to go before they actually need to be. Nothing is cooler than having a player tell you that they really enjoy your practices, because the time goes so fast. Pace is everything. The trick is to mix pace with purpose. Chocking a practice plan full of activities for the sake of filling time is not the point. As a coach, you are a teacher. Each practice (or class) has a goal. Is it introduction of a new skill? Review? Quiz? Lastly, I love hearing horror stories about the bad behavior of players. “Wait ‘til you get this kid. She/he is a real handful.” Or “That kid never practices hard.” As coaches we need to thrive on that challenge. Providing a quickly paced, skill filled, purposeful practice on a daily basis will typically meet that challenge head on. If you decide to wing it, without writing out a plan, you asked for it. The problem kid will eat you up, just like all of the other chumps that tried to work with that kid and couldn’t get it done. Are you hitting off a firm front side with your front knee still locked? Are you still balanced with your head centered between both legs so as not to be lunging forward? Could you take a steel rod and insert it through the top of the skull, go down through the spine, and come out the bottom of the femur? Is your head still and steady? Does the neck look and feel relaxed? Did the head remain at a consistent altitude? Is the bat completely wrapped around your back? This may vary, based on whether you are a top hand release hitter (ex. Mark MacGwire) or a no release hitter (ex. Mike Schmidt). In the last post, I described the qualities of a great batting stance or “rest position”. So, what’s next? Well, the next step is referred to by many different names, such as, “load”, “slot”, “point of no return”, or “launch”. “Launch” is my favorite. It connotes explosion and power. Very positive. No matter what you call it, the point is; hitters need to get a negative movement prior to during every pitch in order to be prepared to swing. The hands of the hitter take a negative move, back towards the back shoulder. The hands should be held high at the top of the zone. The hitter should keep the stride shorter rather than longer. This has nothing to do with how high the foot comes off the ground. Stride is relative to the distance the front foot travels from its beginning in the rest position to the end of the launch. In this case, typically, less is more when dealing with the core strength and body control of young hitters. During launch the hands and front foot move in opposite directions, or walk away from one another. The foot is somewhat optional. Some very successful hitters are stride-less. The hands however are not an option. Compare this to shooting a rubber band. In order to get it to fly farther and faster, you must pull the ends away from each other. The further apart, the better, right? Most importantly!!! The weight distribution of the hitter should be 80/20 at launch. That means 80% on the back foot and 20% on the front foot. In the stance, the hitter should have started at 60/40. Getting to 80/20 is difficult for many young hitters. I attribute this to poor instruction at an early age. All to often, I hear parents and coaches tell young hitters to take a big step towards the pitcher. Yes, we want the front foot to go in the general direction of the pitcher, but a step will put the hitters weight distribution at 20/80. That is the total opposite of what it should be at launch position. Years later you’ll hear the same parents and coaches telling the same hitters not to lunge at off-speed pitches. Good luck fixing that one. This negative movement must happen on every pitch!!! 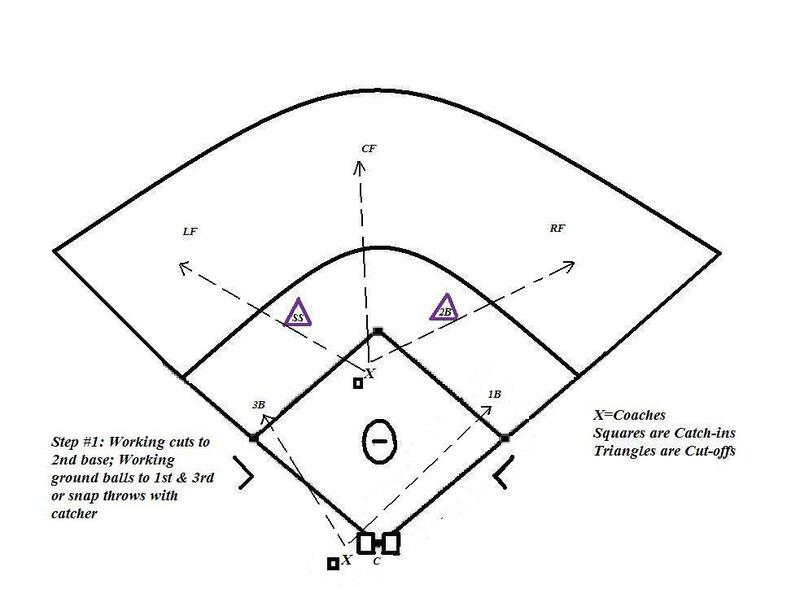 This negative movement should be practiced in the on-deck circle. 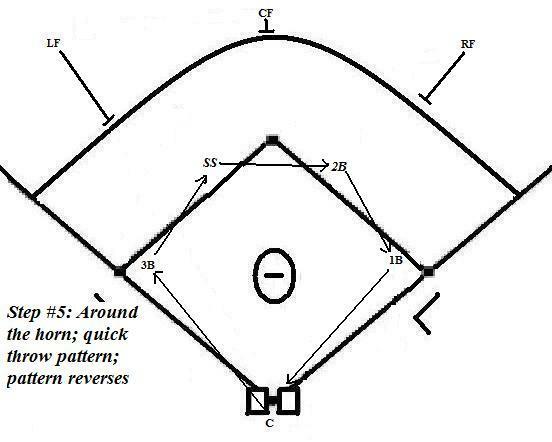 This negative movement needs to be drilled as part of a batting practice routine. Think of cue words or phrases to remind hitters of this negative movement, such as, “stretch the rubber band” or “load up”. This post and the following three will all deal with hitting. I feel comfortable discussing both baseball and softball hitting together. There was a point where I wasn’t so comfortable. When I first spent time around fast-pitch softball players, I heard some coaches say that the softball swing was totally different from a baseball swing. So, I sat back and watched. I saw girls having the same problems as boys. I saw myself giving the same advice to female hitters as I would with a male hitter. The major difference that I had observed was that some of the girls had holes in the backs of their helmet for ponytails. Ultimately, hitting is hitting. 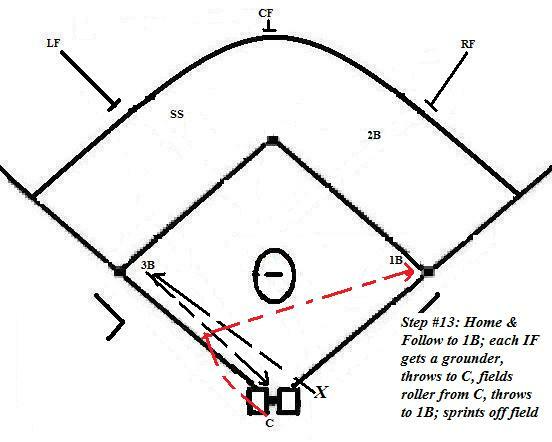 We can get into the baseball and softball difference of pitching angles and hitting approach on off-speed pitches at another juncture. 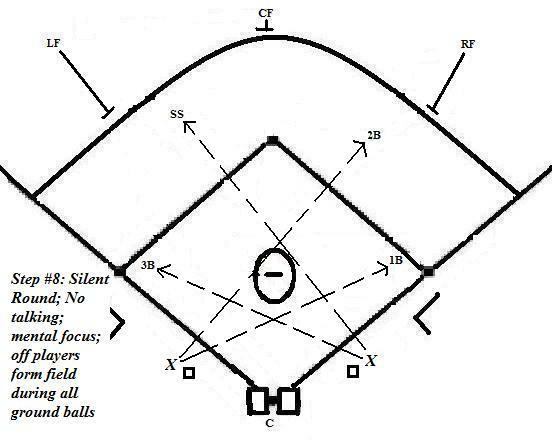 I am going to present, what I consider to be, universal fundamentals of both baseball and softball hitting. Let’s begin with what is most commonly referred to as the STANCE. I’ve always preferred the term “rest position”. I like that term better due a difference in connotation. For example, “stance” connotes readiness but with stiffness and rigidity. Try this, walk up to players and say, “Show me your stance.” More often than not you will see a mechanically sound product, but take a closer look at the player’s forearms, neck, jaw, and legs. You will see muscle tension. “Rest position” connotes comfort and relaxation which is much more conducive for focus and overall success. Promoting a proper mental framework at the plate starts with the stance…. Oh sorry, I meant rest position. Weight distribution at 40/60. 4o% of the hitter’s weight is on the front foot and 60% on the back foot. Weight should be on the balls of the feet. Knees comfortably flexed and positioned inside the feet. Feet parallel to slightly pigeon toed. This will ensure that later on in the swing the big muscle groups in the legs will be allowed to do their job. One of the easiest corrections, seldom made for many youth through high school hitters fixing “duck toes” or both toes pointing outward with the back foot be the most blatant. These hitters are typically all arms and have very little pop. The sad part is many of those same hitters have tremendous hand-eye coordination, but due to bad foot position from the start, singles and doubles are turned into easy outs. Feet should also be one and a quarter to one and a half of shoulder width. Hands should be shoulder to ear hole of the helmet high and 4 to 6 inches from the body. This will vary greatly. It is really most important where the hands go after this point. I will further address the hand in the next post. Forearms should be in the shape of an upside-down letter “V”. DO NOT resort to the old-school advice, “Get that back elbow up.” I cringe when I hear that from someone in the crowd. It usually works against the next step in this sequence…. the grip. Bat should be held in the fingers, not in the palms of the hands. The “door knocking knuckles” should be aligned. There are many tricks for getting the correct grip. One of my favorites is to have the player point both index fingers while holding the bat. If they go in the same direction, the grip is correct. The hitter should maintain a tall backside and keep his/her head equidistant between both feet. Both eyes should be level and facing the pitcher. In the next post, I will discuss the next step after the rest position. My favorite name for this position is “launch”. It is also referred to as the slot, trigger, load, and etc. No matter what you call it, it is the negative movement needed on every pitch in order to initiate a great swing. I hope you enjoyed this post. As always, please feel free to comment.